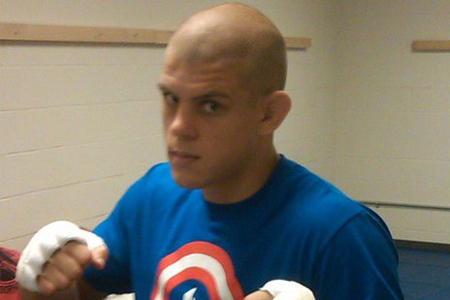 With Terry Etim bowing out with an undisclosed injury, Joe Lauzon (Pictured) will now face Jamie Varner at “UFC on FOX: Shogun vs. Vera.” The promotion announced the lightweight affair Wednesday night via Twitter. Varner is fresh off serving up an upset special over Edson Barboza at UFC 146. It was “C-4’s” his first big league bout since 2007. The former WEC champion wasn’t transition over to the UFC when the blue cage closed its doors in December 2010. Lauzon was last seen being put to sleep by Anthony Pettis at UFC 144. J-Lau has only won five of his last nine scraps. The 155-pound shootout is expected to appear in the main card. Staples Center in Los Angeles, California hosts the August 4th bash. FOX will broadcast the featured fights live at 8PM ET/5PM PT.